We set up LDHS (Learning Disability Hospital Support) in support of our son Kristian and all the other young people similar to him. This is his story and the reason why we set up the charity. Kristian is 26. He has Down’s syndrome, AVSD (cardiac condition) and Eisenmenger’s syndrome (pulmonary condition) and uses 24-hour oxygen. 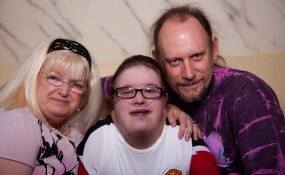 Despite all this Kristian is a very happy, determined, strong-willed, independent and courageous young man. His hobbies include music (any kind), singing, playing drums and having a go at any other instrument he can get his hands on. He has a saxophone, keyboard, electric guitars and violin – all of which he can get a tune out of. He enjoys photography, swimming, eating out and going for walks, but his big love is animals. He adores dogs and goes to Crufts every year to see his ‘friends’ (the dogs of course). 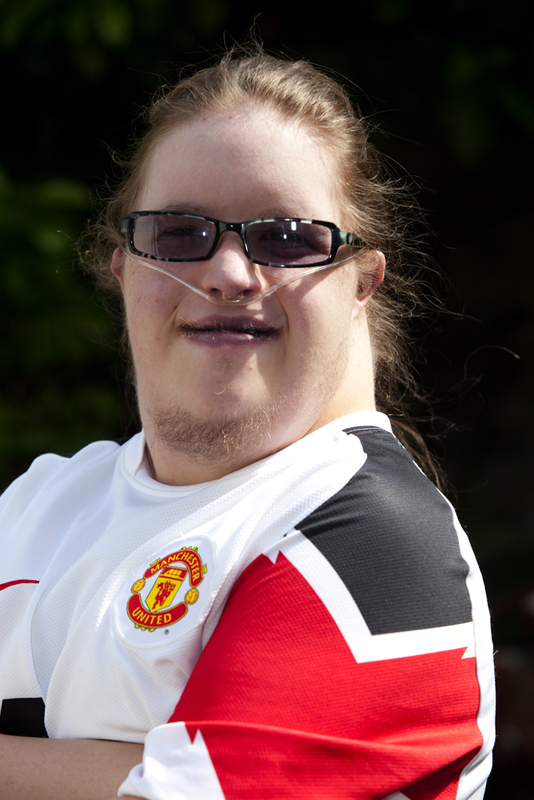 Despite Kristian’s health complications he has thankfully spent little time in hospital and no time at all as an adult, up until October 2010 that is. In October 2010 Kristian developed a brain abscess due to having a routine teeth clean at the dentist. Kristian has very good teeth and has never had to have anything major done like a tooth out. When he had his teeth cleaned previously he always had an antibiotic procedure because of his heart condition and there were no problems. However, this time we were told that NICE (the National Institute for Health and Clinical Excellence) advised that people with heart conditions no longer needed an antibiotic before a dental procedure. Exactly one week and three days after his dental clean Kristian was very unwell. He started having seizures which immediately led to an emergency operation in hospital to drain the abscess that had developed on his brain. This is when the problems associated with caring for a learning disabled adult in hospital started. We had a really bad time and we didn’t want anyone else to have to experience the harrassment and victimisation we had to endure as parents. All this because we needed to stay in hospital with Kristian. Had Kristian been under 16 there would not have been a problem. Anyone over 16 in hospital is classed as an adult – just because he is 26, and classed as an adult, it does not mean his learning disability disappears, and he can be totally responsible for himself. We need £5000 in order to be a registered charity, which is a vital step in moving on with our work. Even if you only donate a pound it’ll help us to get things moving properly.